Thank you Kerri Albers and your entire committee for running a wonderful Talent Show evening. The show was filled with talented singers, dancers, musicians, comedians and other wonderful talents. After the show we all enjoyed a yummy ice cream social thanks to the efforts of Claudia Marino and her committee as well. Thanks to all you were in attendance for making last Friday evening a fun event. What an amazing community! This Sunday, May 21st is our annual West Side Run! Yet another amazing community event which benefits our kids and school. You are all welcomed to come to WS tomorrow between 6pm & 8pm to pick up your t-shirts and numbers for the race. You may also register at that time if you haven’t already. Come one, come all and run or walk. It is a fun way to spend your Sunday morning with your family and our WS community. Please visit our website www.wssptg.com and like us on Facebook. We hope to see you all at the RUN! WEST SIDE RUN IS SUNDAY, MAY 21ST!! 4th Grade Ellis Island Reenactment: A true West Side tradition, the 4th grade is planning an Ellis Island Reenactment to culminate their study of the American Immigrant Experience. 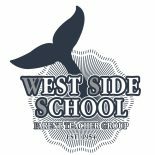 On Friday, June 9th, West Side School will be transformed into a European Port of Departure, a Transatlantic Steamship, and the Ellis Island Processing Center. The students will follow in the footsteps of immigrants as they are examined and processed. Inspectors will determine if each immigrant will be detained, deported, or admitted into the United States. We need 4th grade parent, grandparent, older siblings to volunteer to help make this experience a memorable one. Please send in your form to the main office asap or email Ana Shammah anashammah67@gmail.com if you have any questions. West Side Kids Care will be collecting new and gently used books (baby through adult level books, e-readers, and magazines published in 2016-2017) through Friday, June 9th. Collected books will be distributed to high poverty schools and organizations across metropolitan New York. Children will be able to leave the books in drop boxes in the hallway. If you have additional books you would like to donate, we will also have a collection box in the lobby. Thank you for your generosity. Please contact Lauren Jasinski jasinski.lauren@gmail.com or Jordan Smith jordan_kenna@yahoo.com with any questions. Buy Next Year’s School Supplies NOW! DEADLINE is June 22nd! Order your child’s School Supplies for the upcoming school year! We have teamed up with A.Hartz Pack To School again to offer you online ordering of school supply packets for the 2016-2017 school year! This hassle-free program saves you time and money and guarantees that your child(ren) will have all the the teacher-approved school supplies needed for the new school year. To order your packet(s), click on the link below to select your school district, school and grade(s) for next school year. It’s that easy! Get your Orders in by June 22nd! ******Be sure to buy your PTG dues when you order (on the left side of the page of every grade) must be added to the cart – You need to order 1 ptg dues per family, per school you have children attending for your order to be processed. If all of your children attend the same school then only one dues payment is required per family. It turns out that the May 13th event (ages 10-13) is already sold out, but there’s still space for the Sat. Jun 3rd event. Talent Show Thank you:What an electrifying night we all shared at the 2017 West Side Talent Show. They all did an amazing job, from the performers to the stage crew, the night belonged to them. Thanks to the NYSMA singers , who did a beautiful job opening the show with our National Anthem. A huge thanks to Mr. Simon, Mrs. Lopez, Mrs. Rivadeniera, Mrs. Maniello and Mrs. Balzano for all your help. Thanks so much to the parent volunteers Gina Murray, Kyle Albers, Ellis Adler, Nicole Pultz, Lisa Baxter, Denise Ioannou and Jillian Demast. The student alumni were also a tremendous help, Kailey Albers, Max Adler, and Robby Shammah. You were an amazing team!!! 6th Grade Graduation Party punchbowl evite has been sent!! Please RSVP to the evite and send your checks in to the main office ASAP. The committee needs an accurate head count. This entry was posted on May 19, 2017 by wssptg in Brief.